Humming Bird Dental Studio is a full service dental clinic in Richmond Hill that provides emergency dentistry services to patients in the areas. At our 24/7 dentist office we address regular dental emergencies such as face swelling, accidents involving injuries to the mouth and teeth, dental pain and bleeding caused by trauma. Face swelling in particular is quite common an often caused by a tooth infection. In most cases, the swelling develops unnoticeable with mild discomfort and gradually builds up to a painful swelling. Swelling of the gums and mouth is often caused by tooth abscess due to infection. It is extremely painful and requires emergency dental treatment. With most dental offices, you have to book an appointment to be seen by the dentist. However, in such emergencies when the pain is unbearable, our fully equipped 24/7 dentist office can slot you in for an emergency treatment. Humming Bird Dental Studio is one of the few dentist open weekends and often see emergency patients during this time. We provide emergency treatment procedures to eliminate pain and discomfort. Depending on the kind of infection, the dentist can then advise on which other steps are necessary to cure the condition and prevent reoccurrence in the future. You can call us anytime day or night with your emergency or walk into our office. We have a triage area where we review all emergency cases upon arrival to determine what kind of treatment is necessary immediately. When it comes to tooth infection and abscess, the first step is often to drain the abscess, reduce the swelling and manage the pain. The dentist will drain the abscess by puncturing the abscess or drilling a hole in the tooth to allow the pus to escape. In case there is any remaining infection after draining the abscess, the dentist will also prescribe antibiotic medication for a couple of days after the draining process. The dentist will also give painkillers to manage the pain after puncturing gum or drilling the tooth. Depending on the extremity of the case, we may carry out the follow up treatment on the same day or after a couple of days of draining the tooth abscess. In case you have periapical abscess, you will need root canal treatment to save and restore the damaged part of the tooth where the nerve endings are located. The dentist will remove all the dead pulpal tissue from the hole drilled in the tooth after the pus escapes and fill up the remaining space with a tooth filling. In case the abscess formed in the gum (Periodontal abscess), after draining, the dentist will clean the pocket formed by the abscess and smooth out the root surfaces of the tooth so the pocket closes up and disappears. In case the infection is recurrent, you may need oral surgery to reshape the gum tissue and prevent future infection. You can prevent dental abscess by practicing good oral hygiene. 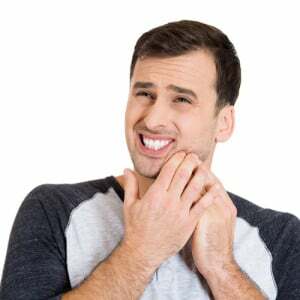 Sometimes the pain caused by dental abscess may be pulsating; just because the pain goes down, does not mean the infection goes away and you should visit a dentist as soon as possible.